Professional Sales Agent Sheila Cooper and The Cooper Group recently joined Berkshire Hathaway HomeServices PenFed Realty Mid-Atlantic. 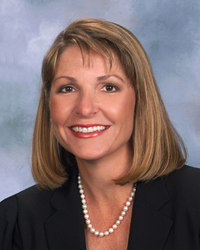 Professional Sales Agent Sheila Cooper, Berkshire Hathaway HomeServices PenFed Realty Mid-Atlantic. Cooper’s knowledge of the Great Falls and McLean areas will be a tremendous asset to our company and sales associates. Professional Sales Agent Sheila Cooper and The Cooper Group recently joined Berkshire Hathaway HomeServices PenFed Realty Mid-Atlantic. The Cooper Group focuses on Luxury Collection properties in Arlington, Fairfax and Loudoun Counties. According to Mid-Atlantic President Kevin Wiles, Cooper’s local market expertise is both impressive and extensive. “Cooper’s knowledge of the Great Falls and McLean areas will be a tremendous asset to our company and sales associates,” Wiles said. “I joined BHHS PenFed Realty because it’s a high-growth company, has leading edge technology, and has a premiere brand that opens new doors and opportunities. The Luxury Collection branding and advertising is the best and most powerful in the business,” said Cooper. “For example, BHHS launched its ‘Love Your Home’ sweepstakes this week. The sweepstakes runs through June 17. Consumers will have a chance to win a $50,000 grand prize and $2,500 weekly prizes. How great is that,” exclaimed Cooper. The sweepstakes will be promoted on the HGTV network, showcasing David Visentin and Hilary Farr from the hit show, Love It or List It. To enter, simply go to the dedicated sweepstakes website: LoveYourHomeSweeps.com. NVAR Lifetime Top Producer and NVAR Multi-Million Dollar Club; Top Agent in Great Falls 2003-2015, Lowes Island & Cascades 2009-2015, and Top Agent Washingtonian Magazine 2015. Berkshire Hathaway HomeServices PenFed Realty is a full-service real estate company with annual sales volume of $2.8 billion with 1,700 sales agents and 50+ offices providing complete real estate services nationwide. PenFed Realty is a wholly owned subsidiary of PenFed Credit Union (PenFed). PenFed is a financial institution with close to $20 billion in assets and more than 1.4 million members. PenFed Realty is also a member of the Berkshire Hathaway HomeServices brokerage network, operated by HSF Affiliates LLC. Visit PenFedRealty.com. Equal Opportunity Employer: m/f/v/d.